This week in Audicus blogs, find out about insurance plans and how they relate to hearing aid funding. Are you aware of how Medicare, Medicaid and other programs can help you to afford hearing aids? These services may seem very complicated and difficult to understand, but a small information summary can help you to find the right programs. Medicaid normally offers financial coverage to low-income families and receives financial assistance from state and federal governments. For individuals 21 and younger Medicaid is required to give hearing screenings as well as tests in communication development. This is due to the service program called Early and Periodic Screening, Diagnostic and Treatment (EPSDT). However, Medicaid’s required hearing service does not apply if individuals are over the age of 21. Medicaid is required by law to provide medical assistance to individuals living below the poverty line. You can find specific eligibility criteria at http://www.cms.hhs.gov/MedicaidGenInfo/ and assistance locating your state agency at http://www.cms.hhs.gov/MedicaidGenInfo/. Individuals with Disabilities Education Act (IDEA) can help to supplement some fees associated with audiology, and some private health plans will help cover audiology costs. The Patient Protection and Affordable Care Act (ACA) is geared to making more available health insurance benefits for individuals who are uninsured, such as small business owners. At least 22 states provide some form of health coverage regarding hearing aids. New York state, for example, covers hearing aids though the ACA. Online information regarding the act is available at http://cciio.cms.gov/resources/data/ehb.html. The financial limit is $1,500 a year and is limited to a single purchase, including replacement or repair, every three years. This coverage may not extend to bone-anchored hearing aids unless certain criteria are met. Be sure to learn more about the insurance benefits of your current health plan by inquiring by phone or visiting the program’s website. 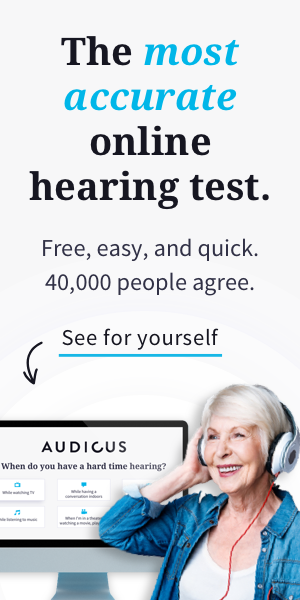 Although Audicus offers more affordable hearing aids than ones at the clinic, there are still many people who cannot afford them. That’s why we’ve partnered with Hearing Charities of America to collect used hearing aids to refurbish for people in need.